Combine the quinoa, olive oil and the water in a microwave safe dish and microwave at 2 minute intervals until the water is absorbed. 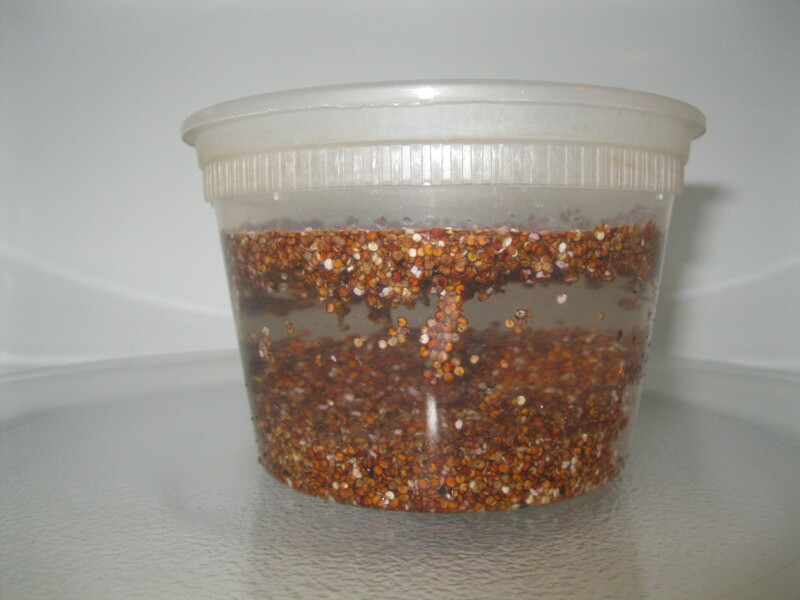 Here’s my quinoa in the microwave… don’t judge me. I’m a little lazy. 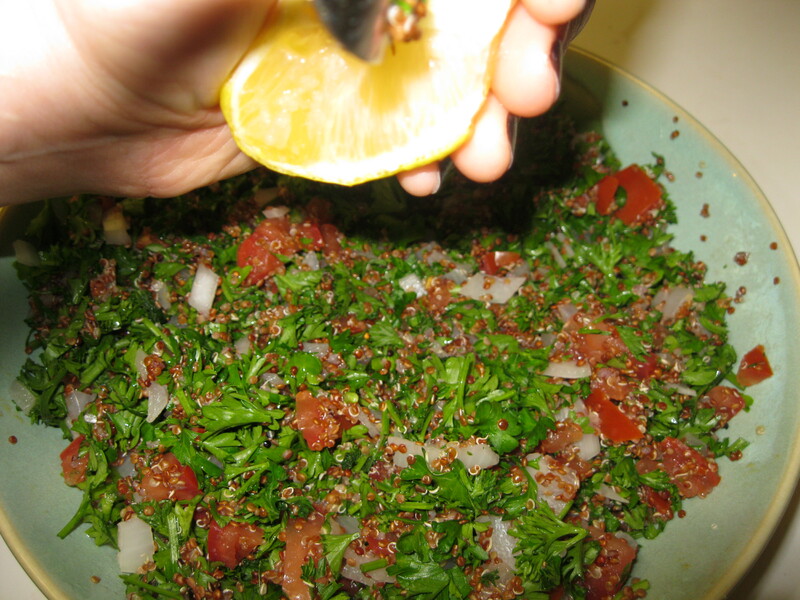 Meanwhile, chop up the parsley (make sure it’s well rinsed so there’s no grit in your tabouleh), mint if you’re adding it, tomato and onion. Put the tomato and greens in a bowl. Add the onion to the quinoa after the liquid is absorbed and microwave another 2 minutes, until it starts to get soft. 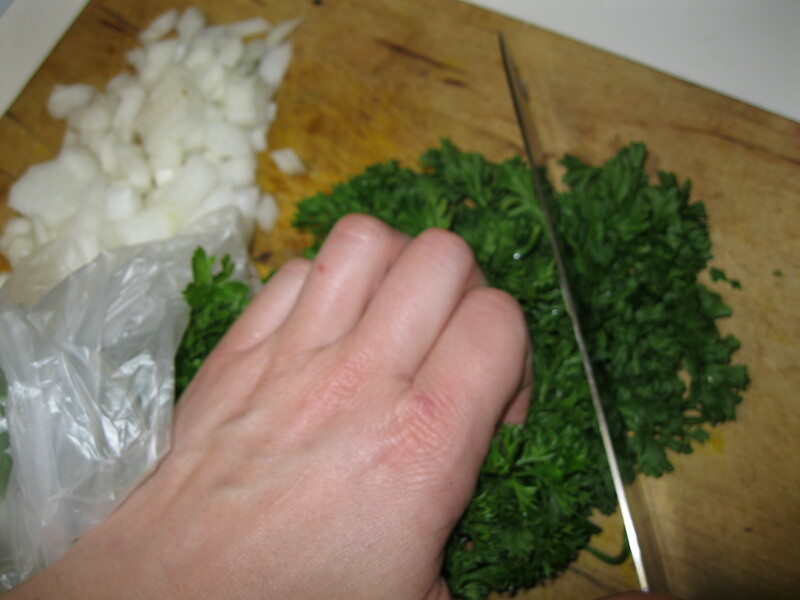 The onion will add some sweetness to balance the tart lemon and herbal parsley. 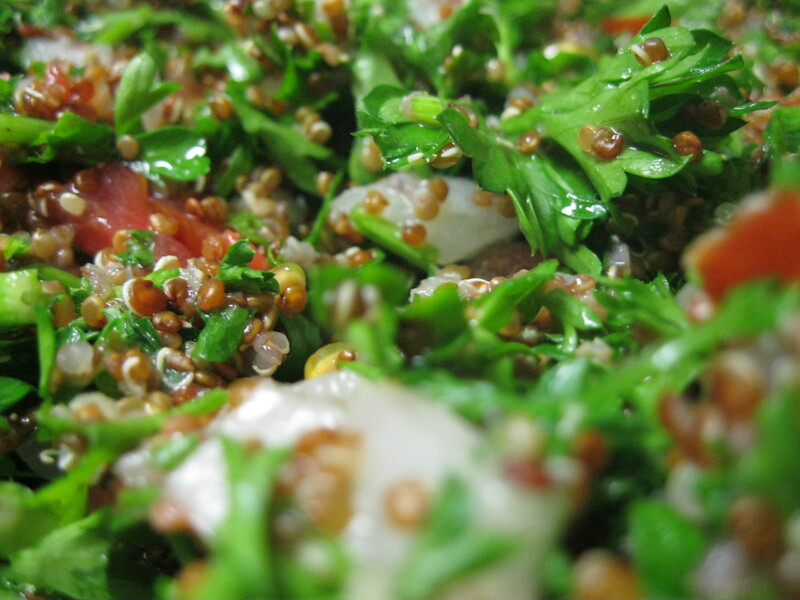 Combine the tomato and parsley with the hot quinoa, sprinkle salt, and squeeze the lemon over the top. 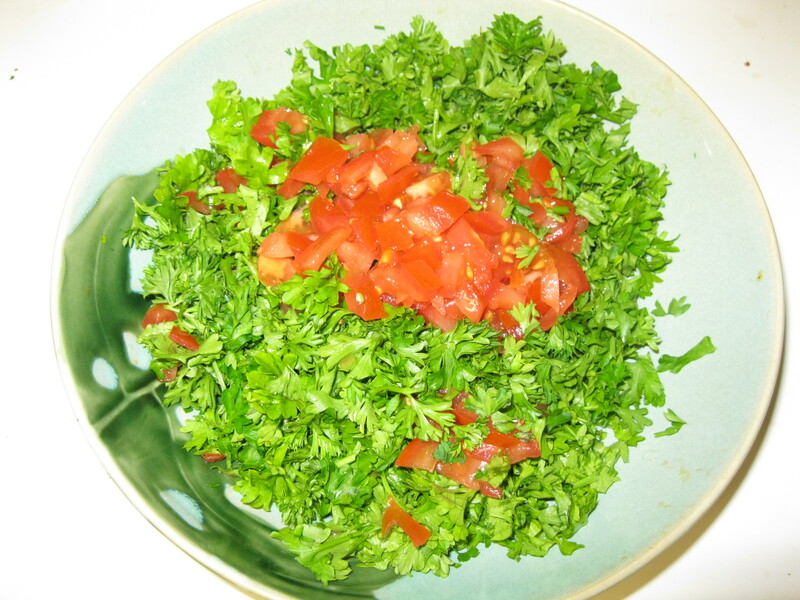 The heat will cause the parsley to wilt slightly and take on the flavors of the dish. Mix again and refrigerate until you’re ready. I think it’s better cold, but warm pleases too. Can’t wait to try this! I need to buy more quinoa… that’s a statement I never thought I would write. Woot! Oh thank goodness… I was worried I would have to tell you about your breath. JUST KIDDING! I love you, Melissa.